From the hearty breakfast spread (cooked and continental, because you never know what you'll fancy) to the 24hr café, we ensure our guests' every need is dealt with. Plus with free fibre Wi-Fi throughout, power shower en suites and our famous Sweet Beds in every room, you'll be connected, refreshed and rested right through from check-in to check-out. The hotel is located in Sol Central, a shopping and entertainment complex with a cinema, shops and restaurants, a fitness club and a casino. The nightlife of central Northampton is a few minutes' walk from the hotel . Set in the heart of Northampton, we're within easy reach of various attractions including Northampton Saints rugby union club (one mile away) and Silverstone Circuit (about 15 miles away). Brackmills Industrial Park is around a 10-minute drive. Was only a once night stay but the staff at the hotel were excellent and incredibly friendly especially the staff on reception.. Very comfortable stay. Perfect for daytime shopping, town walk. Come evening, lots of bars, clubs and the Derngate theatre was great, which is the main reason I was there for my stay. Everything close by in walking distance. Bed Uncomfy , pillows rock hard . It was very good.The staffs were very kind. We have stayed here many times and to be honest the hotel does exactly what it says on the tin. On this stay we had 2 twin rooms. One half of my party in room 446 had a perfect nights sleep. Myself and my son in room 435 were kept up all night by the music from the nearby nightclub. Basically poor glazing/ insulation. Just on another note we had to get our keys re cut as we were late check out and just giving our room number was sufficient to get a fresh set of keys. We could have been anyone so I would raise this as a major concern of lack of security and as i was with my partner and children this was very upsetting. Had a lovely stay. Could do with a couple of more towels and a bin next to table with tea making facilities. Everything matched to your needs under one roof! I was welcomed as soon as i walked through the door. Checked in and room details provided in record time, for all that is to offer within the hotel i wish i stayed for more than 1 night! Booked last minute to get away for a couple nights to wind down. 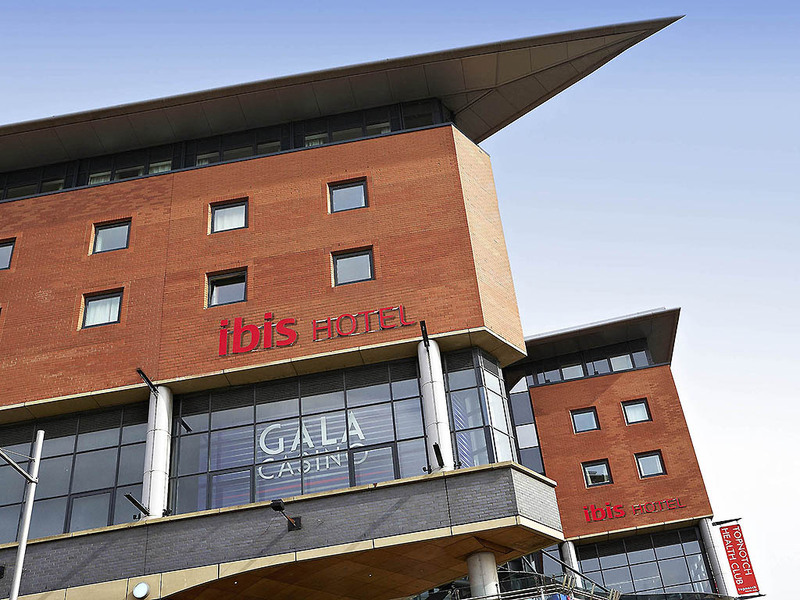 The hotel is well situated and typical of Ibis hotels. What you see is what you get. friendly staff but sparse décor in bar/restaurant. A very friendly and comfortable hotel local to both town centre and train station. Uncomfortable bed, extremely noisy guests on our floor- banging and screaming until 5 am. I wish IBIS hotels were warm, I understand you can ask for extra heating, I would like it when I arrive!! My husband and myself like IBIS hotels, but this one was so cold. My room had the smallest heater suggesting a temperature of 24 degrees. Highly unlikely. It is very very irritating to have to struggle to a room when you are cold and wet from the rain to find you need to go back downstairs to ask for heating. This is not a cheap hotel. It should be there when I arrive. Staff experience good. I asked for a toasted sandwich which was the worst toasted sandwich I have ever ( partly ) eaten. Staff sympathetic and offered me a compensatory drink. Much appreciated. I am seriously going to rethink staying in an IBIS in the winter months, which is a pity. Nice hotels. All Good but It would be Nice to know What everything costs. Like breakfast. No information anywhere. The overall stay was pleasant. Sorry to see the drawer space has now gone from the rooms, also there was little shelf space. When staying for more than I night it's a problem as to where to put some items. Slept well and the beds were very comfortable also was again disturbed by drunken guests returning at 4am. The hotel needs to do more to stop this and also tell guests not to keep they key card near their phones as this zaps the use and guest can't use the lifts or get into their rooms. Great location, warm and friendly staff. Room spacious and clean.